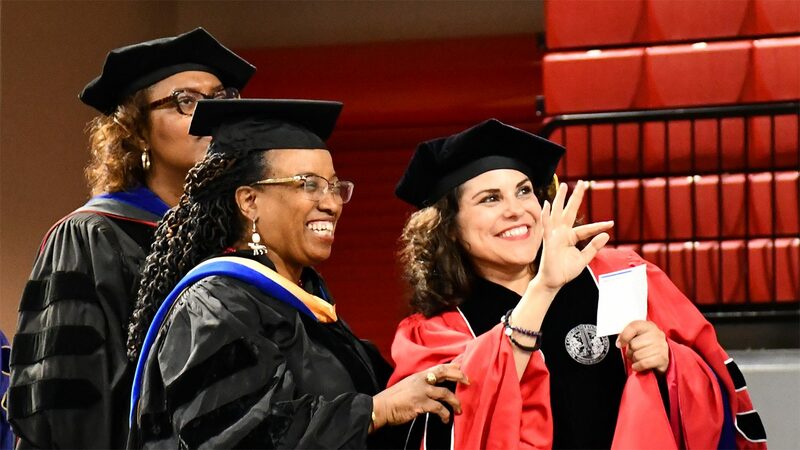 The NC State College of Education welcomed over 335 new alumni this spring. Meet a few of our new alumni, read a recap about the college's graduation ceremony held May 11, and view photos graduating students submitted from their time at NC State. Kevin Sutton ‘18 EDD began his journey at the NC State College of Education ten years ago as an undergraduate student. Now, he prepares to graduate with a Doctor of Education in Technology Education degree. Callie Womble ‘18 PHD reflects on what motivates her, her experiences as a College of Education doctoral student and her post-graduation plans. Doctoral candidate Lauren Pellegrino shares how her time as an NC State College of Education student pushed her to go above and beyond.